Mike is the co-owner of DIAKADI Fitness Performance Life and a head coach for the Commit to Fit Obesity Scholarship Program. He pulls from his athletic background, as well as his research into the positive effects of nutrition and lifestyle adjustments on human performance, when creating truly individualized and successful fitness and lifestyle (sleep, stress, balance) programs for his clients. 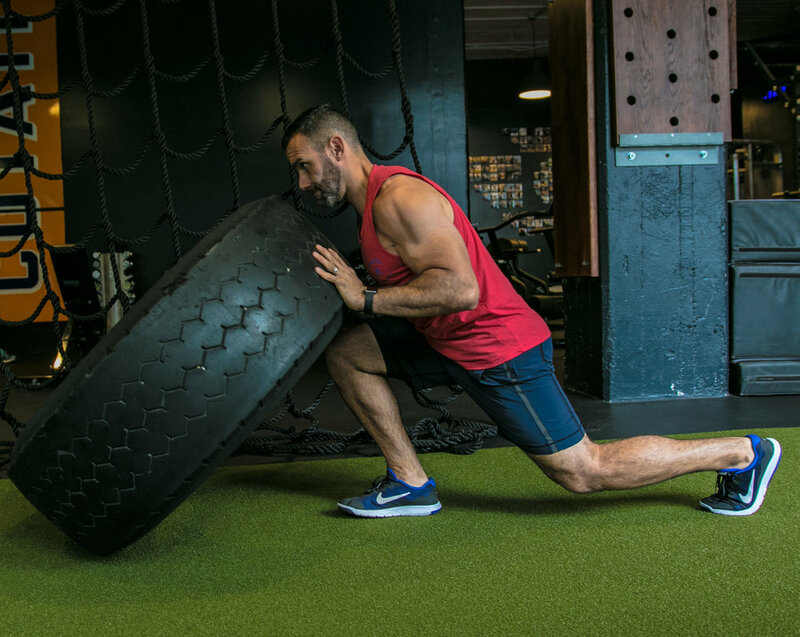 The foundation of Mike’s education and his in-depth study of the body began during his training as a paramedic and continued through his certification programs with the National Academy of Sports Medicine (CPT) and the CHEK Institute (Exercise Coach and Holistic Lifestyle Coach). Growing up an athlete, he learned firsthand the effects of proper weight training, nutrition, muscle development and flexibility programs on the body. Over the course of his own training, Mike has lost over 25 pounds of body fat, while consistently increasing his muscle mass. He has also maintained a strict Pilates practice to assist in his recovery from a double hernia surgery. It is through the combination of these personal experiences as well as his education, that Mike is able to fully evaluate each client for weaknesses or problem areas using a thorough, up-front assessment (posture, muscle imbalances, flexibility, movement and health screens). Then using this gathered information, Mike designs comprehensive programs and creates inventive workouts that lead his clients to efficient and successful achievement of their lifestyle, nutrition and fitness goals. Mike has been actively involved in sports since the age of 5 and lifting weights since he was 17. As a certified personal trainer, he enjoys the chance to pass on the benefits and lessons of living a healthy lifestyle to others. Mike trains clients from all walks of life with each person seeking their own unique goals. He looks at personal training as a career where he can inspire people and help them do things with their bodies they never thought possible.